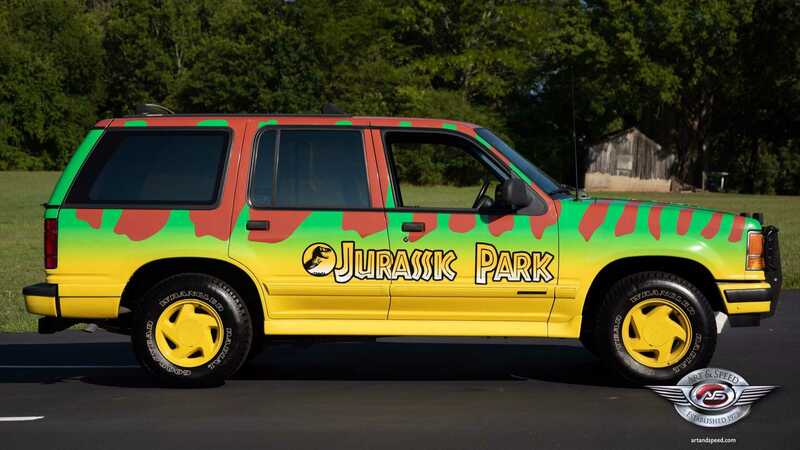 Bag Your Own 1993 'Jurassic Park' Ford Explorer! 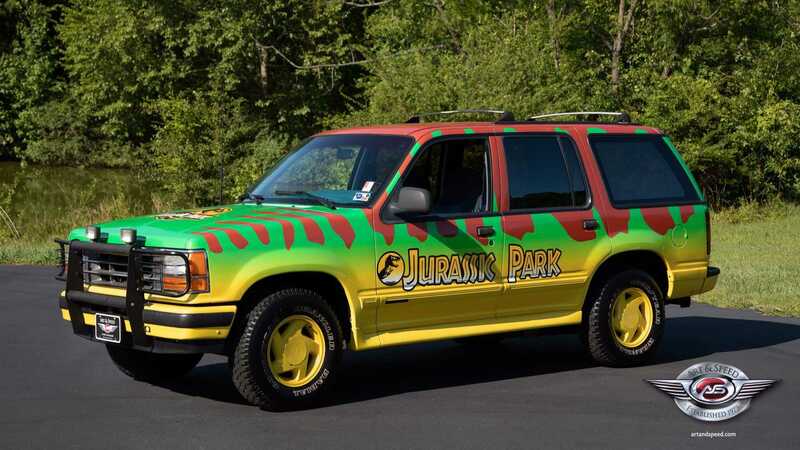 Back in 1993, the world went mad for dinosaurs. 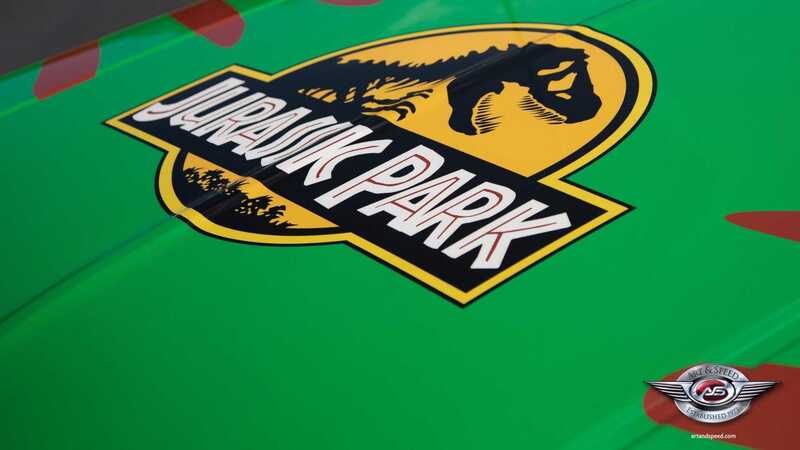 Steven Spielberg’s adaptation of Jurassic Park spawned a generation of youngsters obsessed with archaeology and all things scaly. 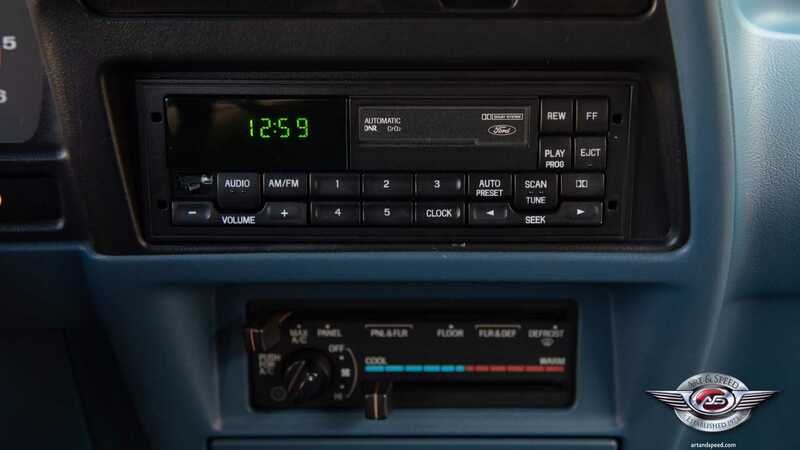 Mostly thanks to the Ford Explorer. 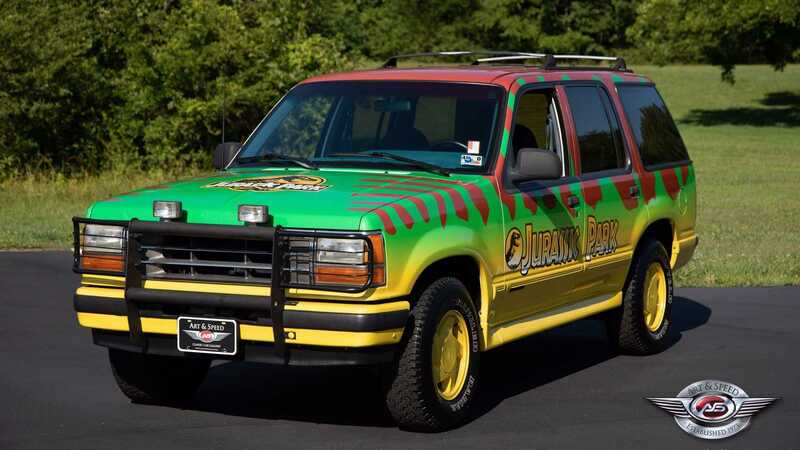 The film’s Jeep Wranglers may have ignited a love affair between up-and-coming gearheads and the SUV, but it was those Ford Explorers sporting retina-abusing prehistoric livery that stole the show. 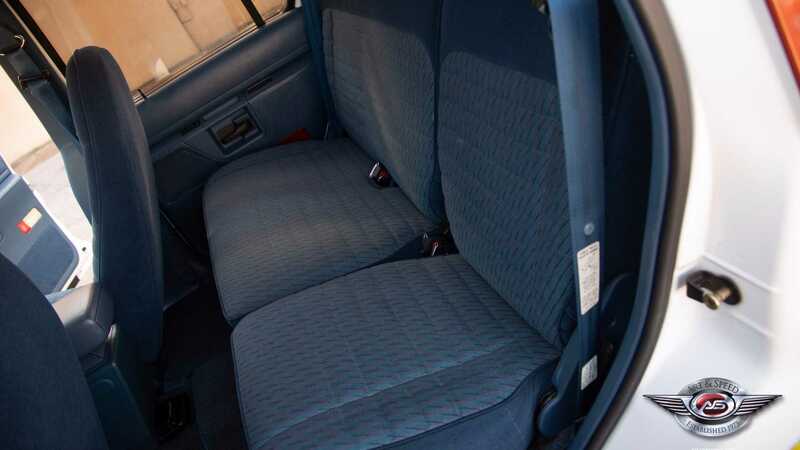 Although the Explorer played second fiddle to the Jeep's scene-stealing Wrangler, it has no less become a staple in automotive film history. 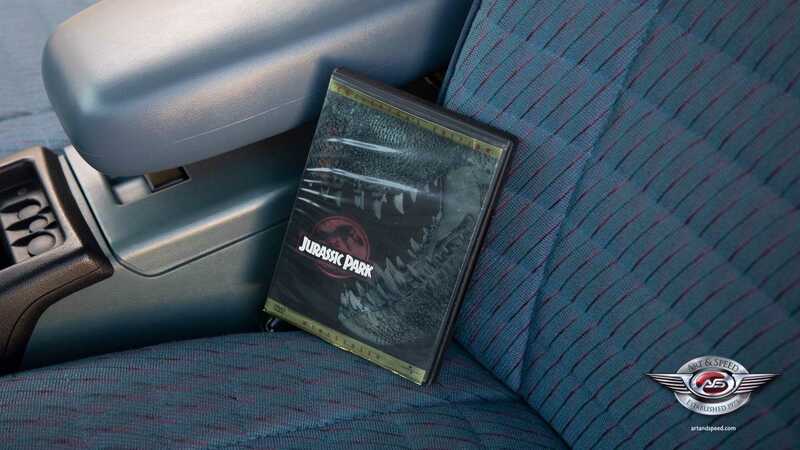 Furthermore, the Explorer’s screen time was far more important to the story – even if it did lose a fight with a rather irate Tyranasaurus-Rex. 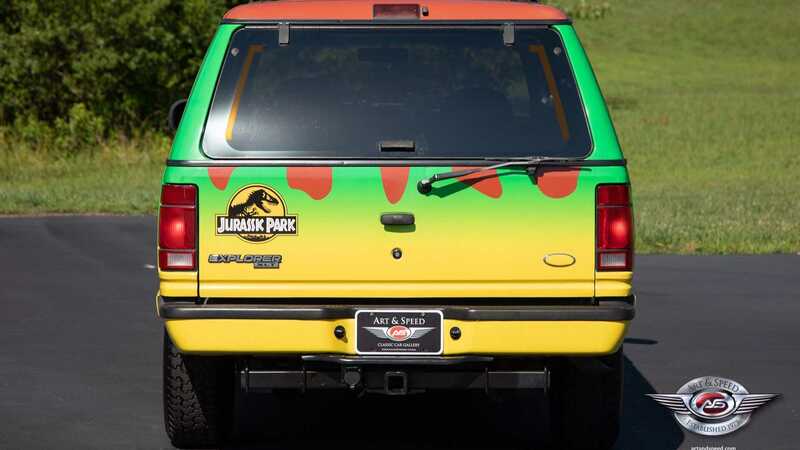 Still, unlike the Wrangler, no character met their end within the Explorer’s cabin – the car’s strength responsible for the survival of Sam Neill and two children. 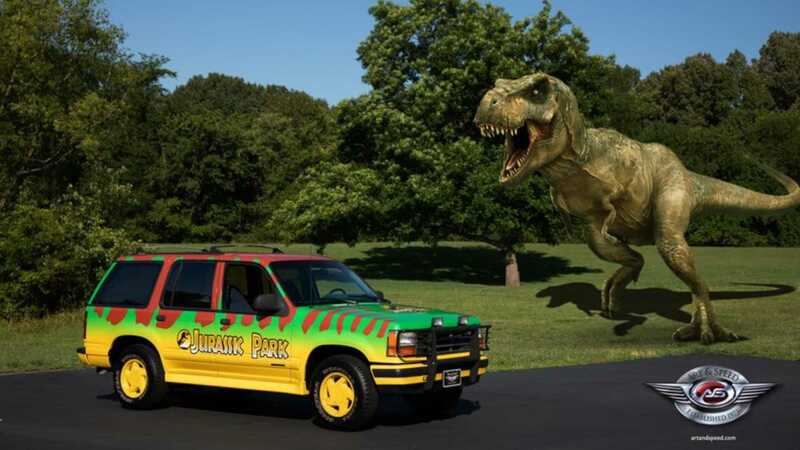 Ironic really, as the very first pre-facelift Explorer was infamous enough for rolling over that even Spielberg's T-Rex would have avoided it for safety’s sake. 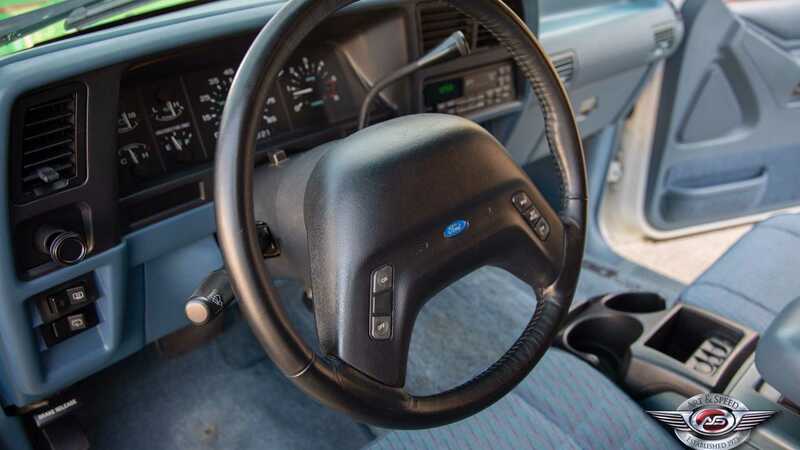 Although the 1993 blockbuster never allowed Ford to showcase the Explorer’s off-road ability – mainly because it was eaten by an enraged carnivore – the vehicle is more than capable in the rough stuff. 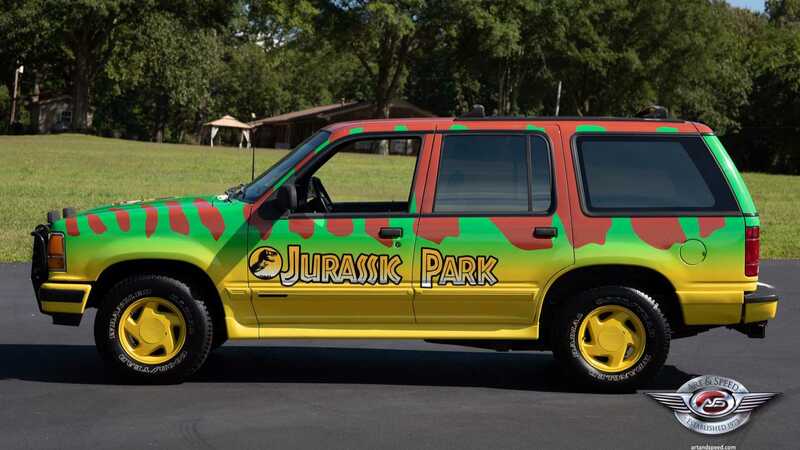 And as proven by the film, the tires are apparently delicious. 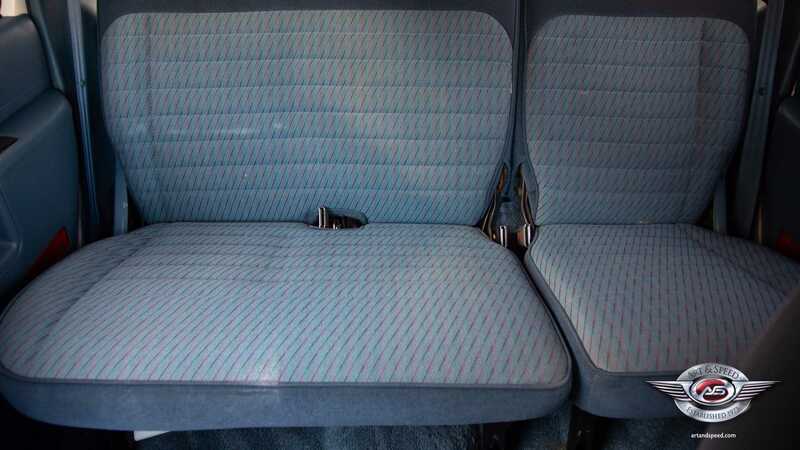 Early models offered a choice between front or four-wheel drive, but opting for only two-driven wheels on such a vehicle is like going to Stringfellows for a hug. 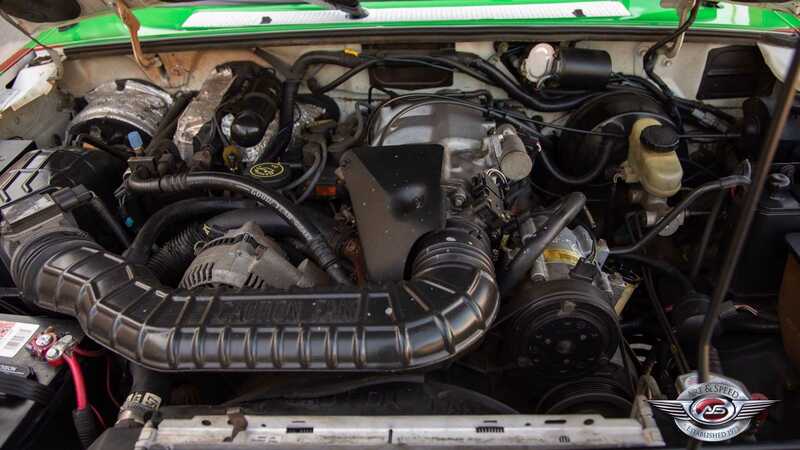 Luckily, the beast from our classifieds is very much a fully-prepped off-roader, as you'll see here. 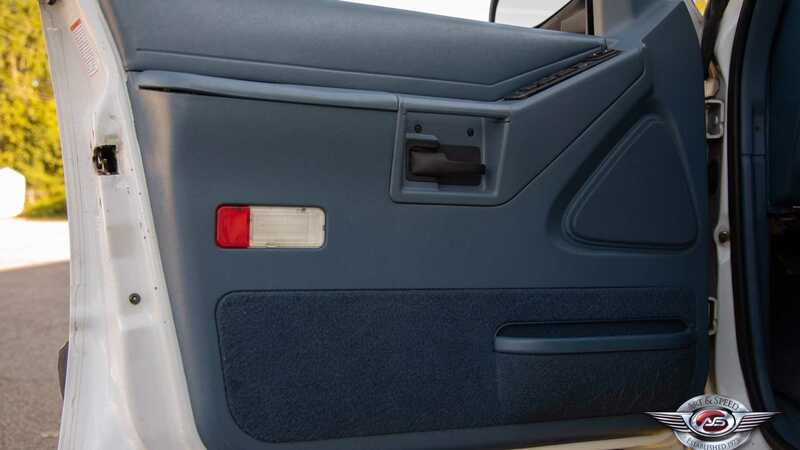 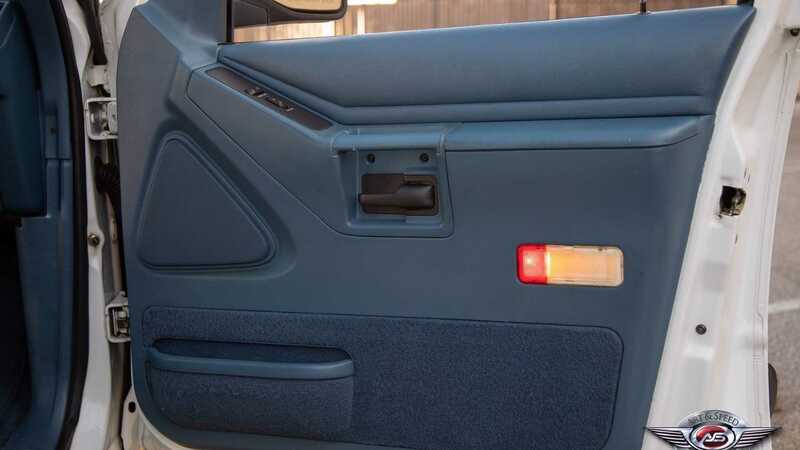 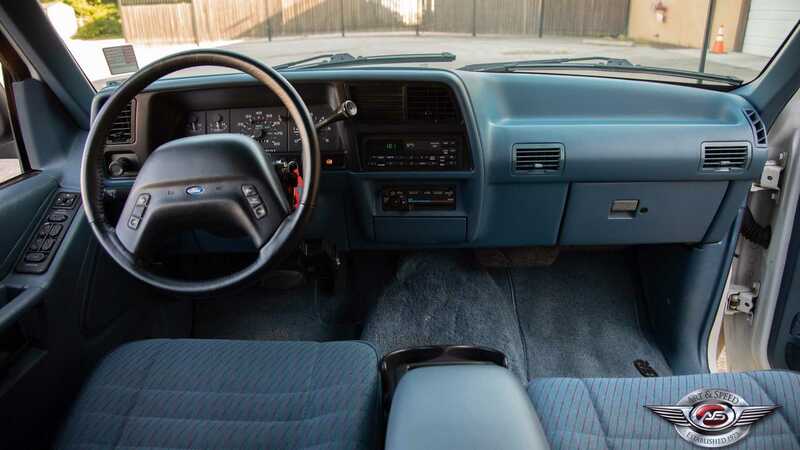 From inside, this vehicle would appear to be only a well-maintained 1993 Explorer, offering power steering, blue cloth seats, AM/FM cassette player and air-condition. 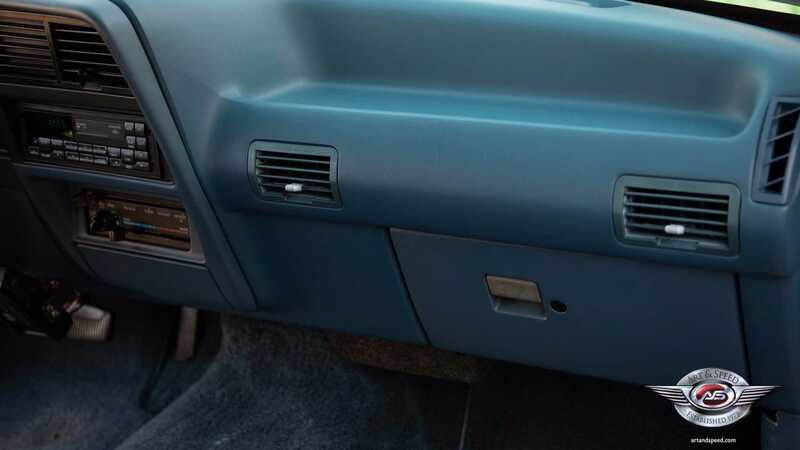 Yet, the frenzied waving from open-jawed youngsters alongside constant picture-taking from mobile-phone wielding spectators would tell you otherwise. 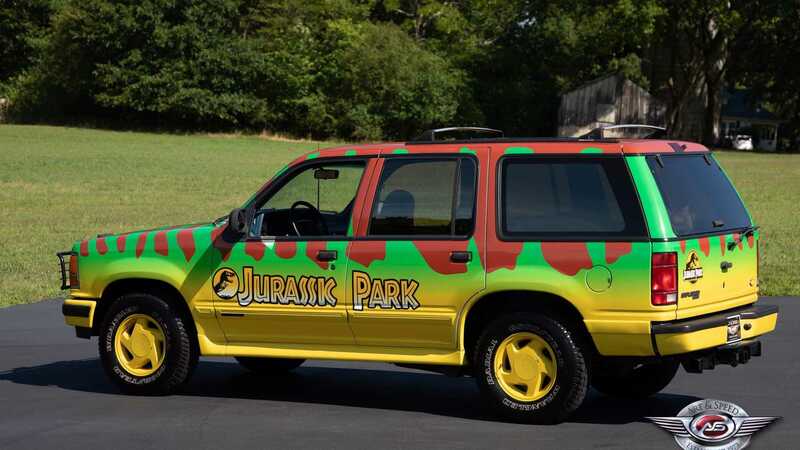 Now, don’t get your hopes up as this isn’t a genuine film car. 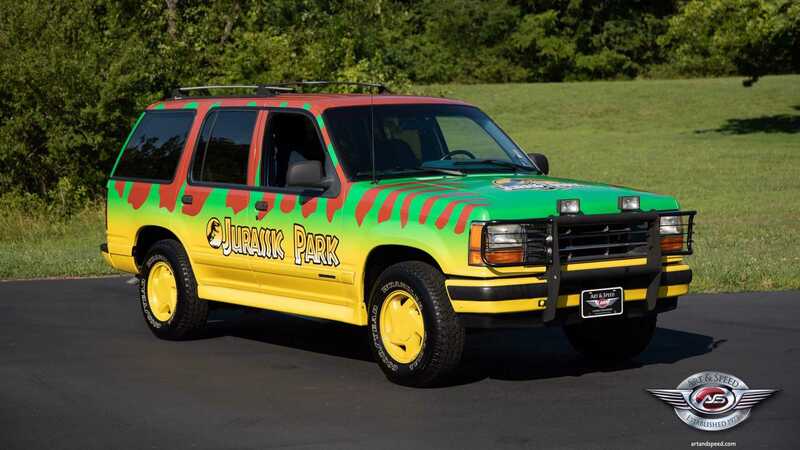 This Ford Explorer is a replica, albeit one that would have any film aficionado fooled. 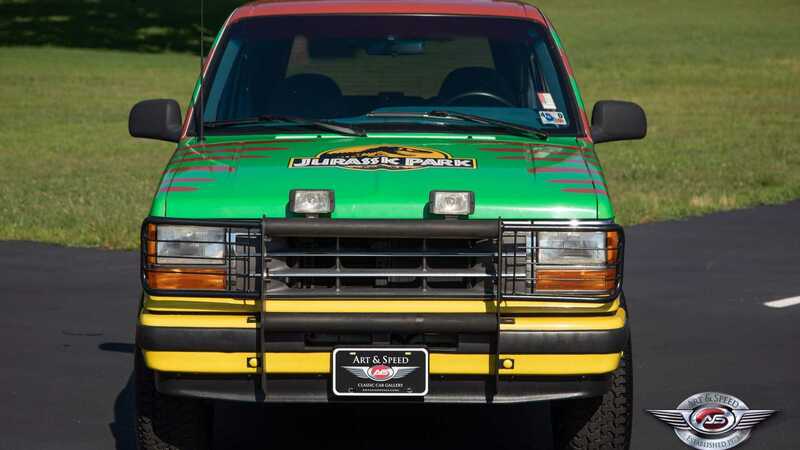 The ‘Jurassic Park’ wrap is so finely detailed that only lawyers could tell this wasn’t the real deal. 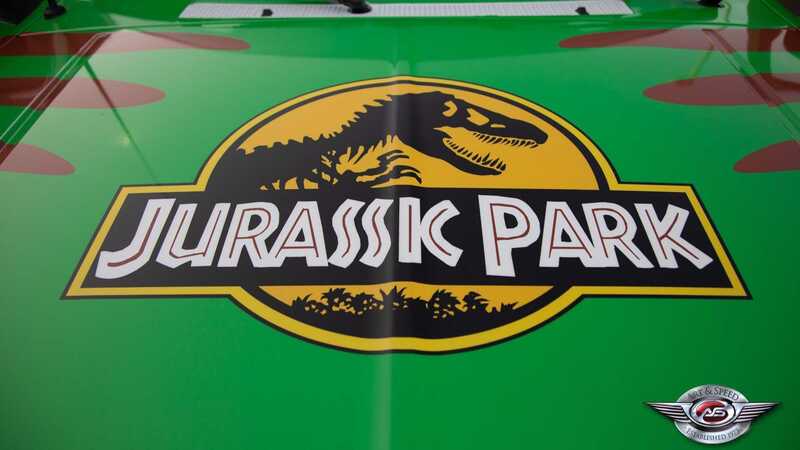 Alongside the incredible livery are cosmetic fog lights (not yet wired in) and painted front and rear bumpers – draped in bright yellow as per the original film cars. 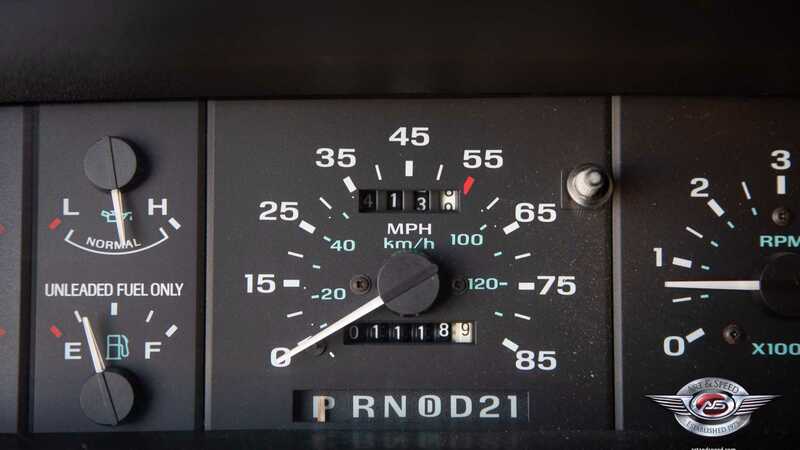 Up front is a factory-standard 4.0-liter Cologne V6 engine with sequential multi-point fuel injection, good for almost double figures when calculating your MPG read out. 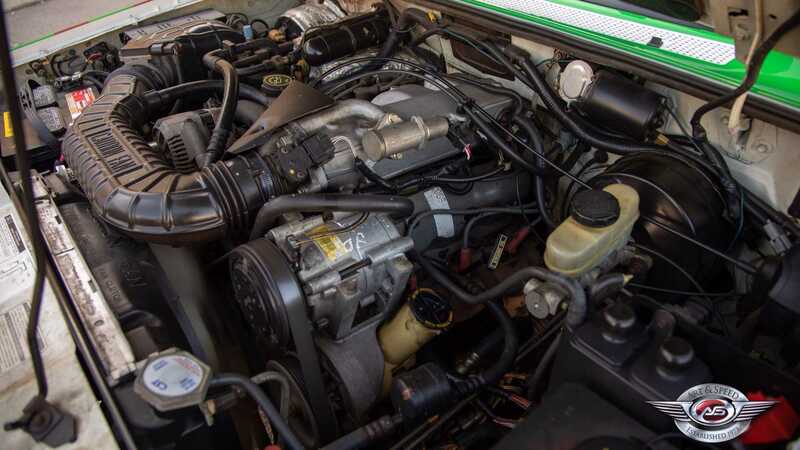 Power is regulated by a four-speed automatic with overdrive for a proper 1990s throwback, making for a true retro wagon when looking at its square yet aggressive stance. 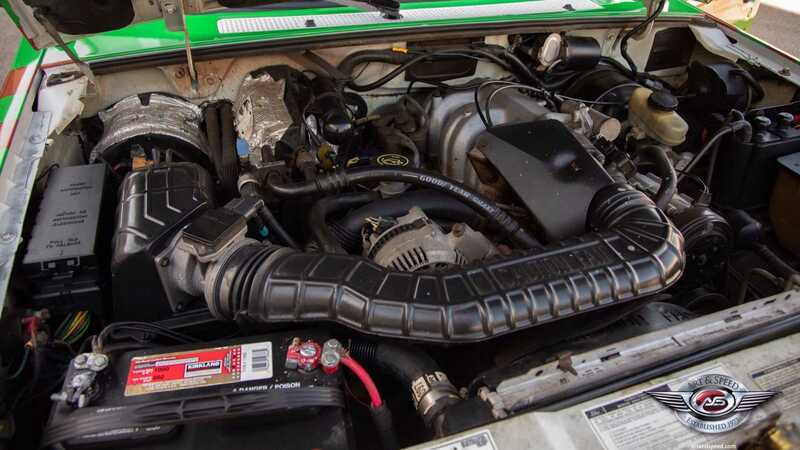 Churning out 160-horsepower, top speed is recorded as 109mph, with a 0-60mph sprint completed in just over 12 seconds. 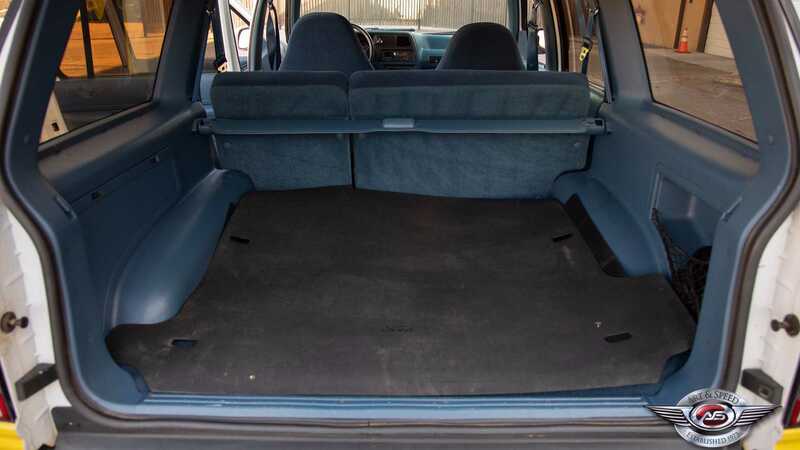 Not bad for something that weighs as much as a Diplodocus, with similar aerodynamics to boot.